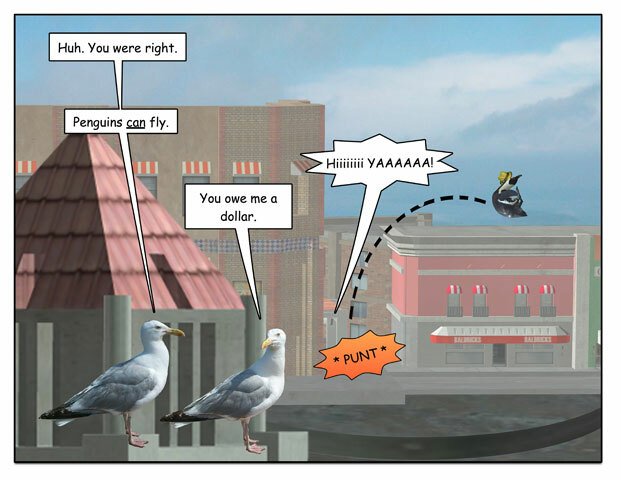 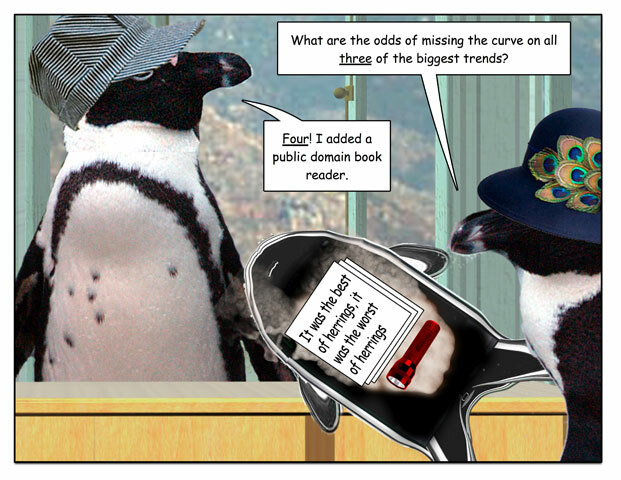 This week’s penguin: The economy gets a little weirder. 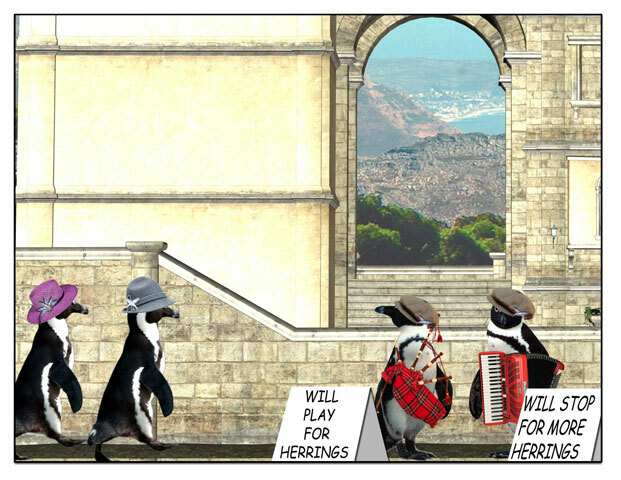 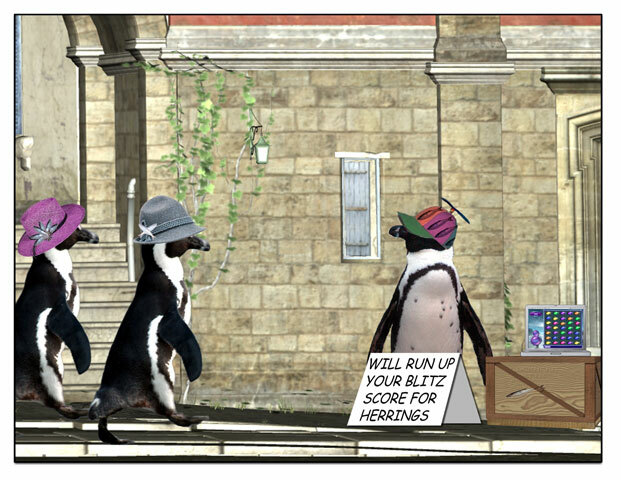 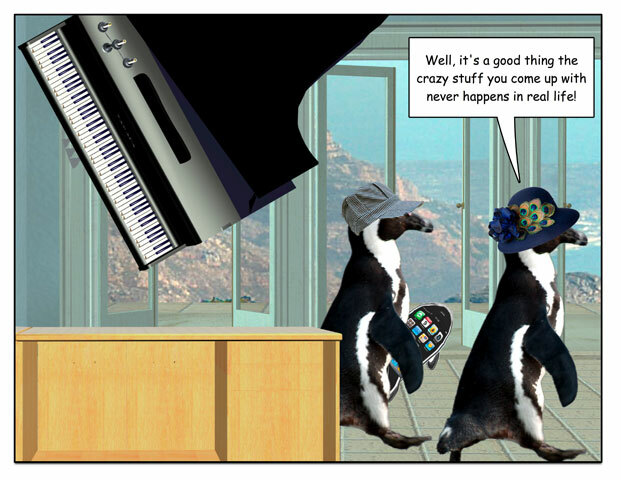 This week’s penguin: Revenge is best served …with a piano? 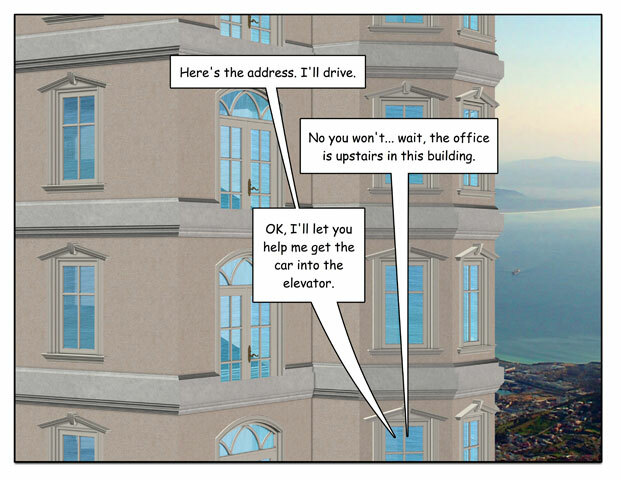 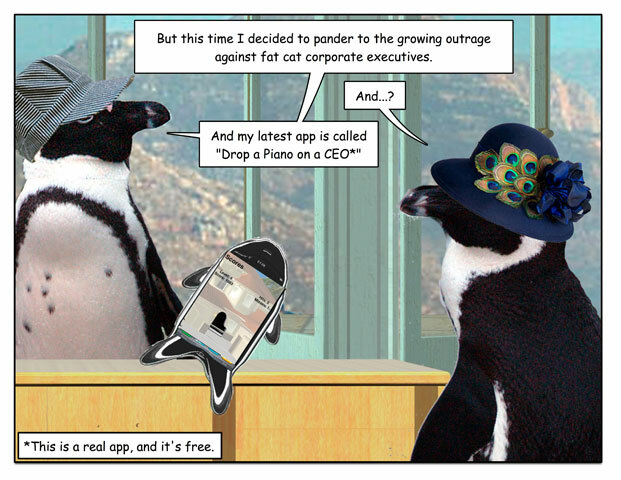 And you can get the fine “Drop a Piano on a CEO” app (for free) here. 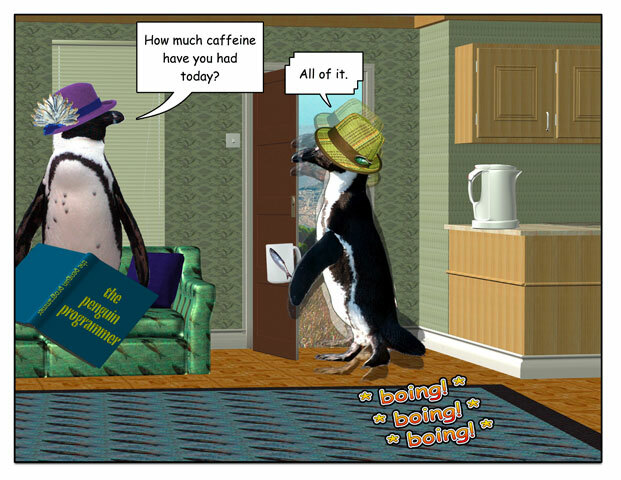 This week’s penguin: There is no such thing as too much coffee. 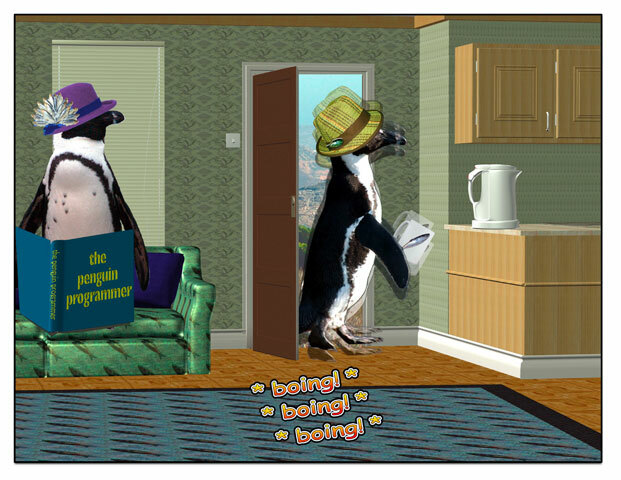 This week’s penguin: A refined and genteel episode. 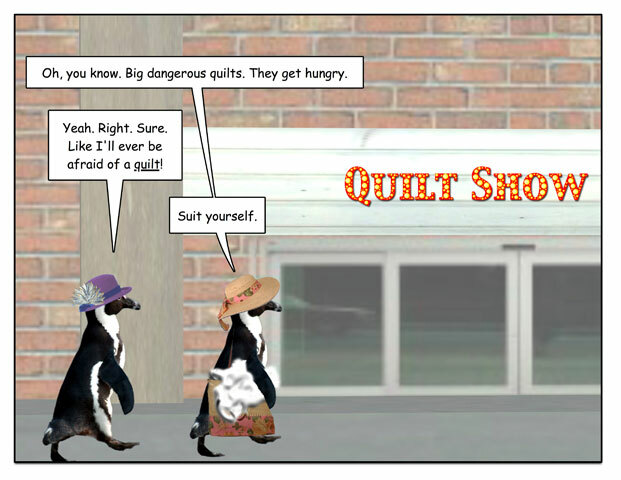 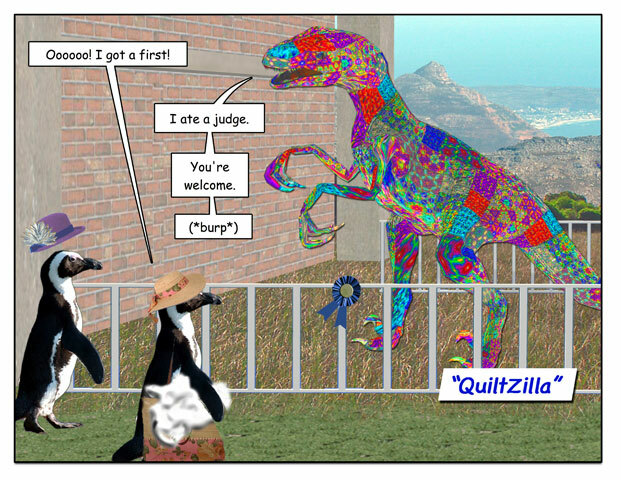 This week’s penguin: Quilting – it’s not for the faint-hearted. 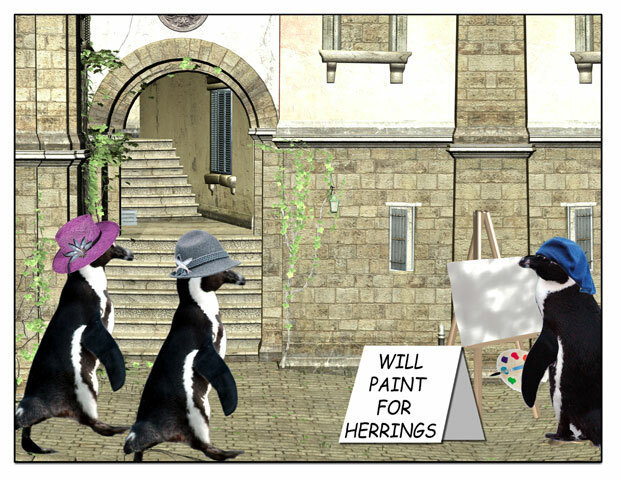 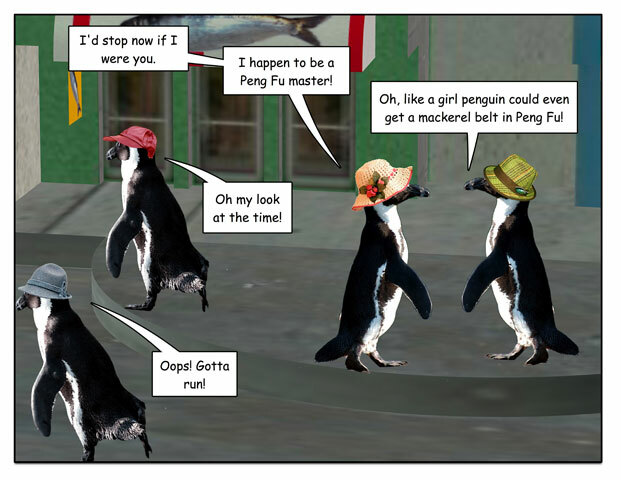 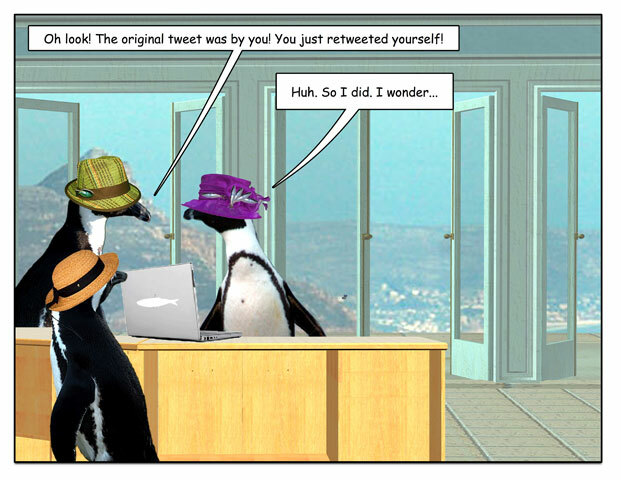 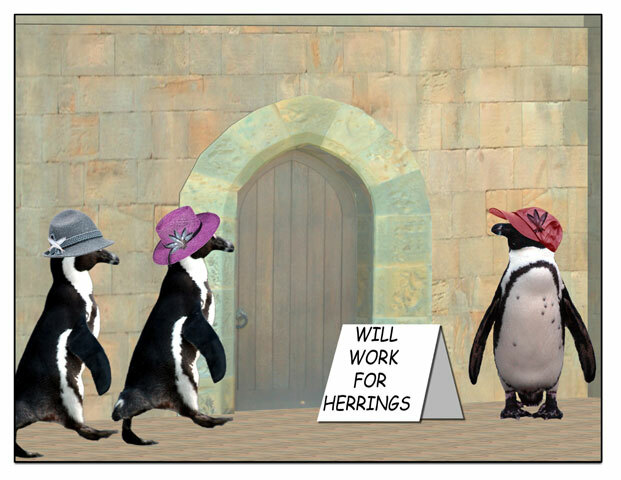 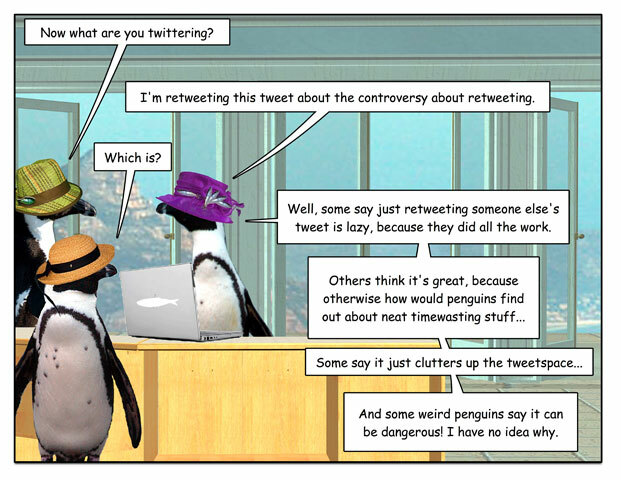 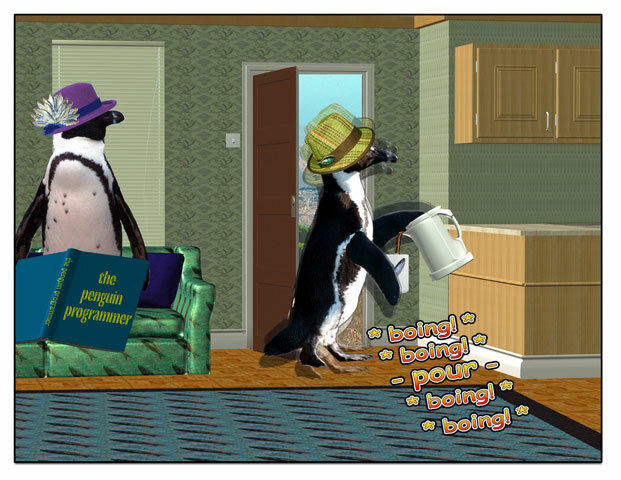 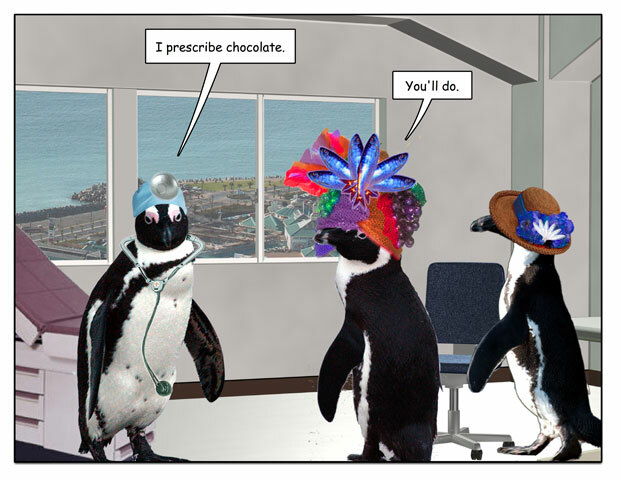 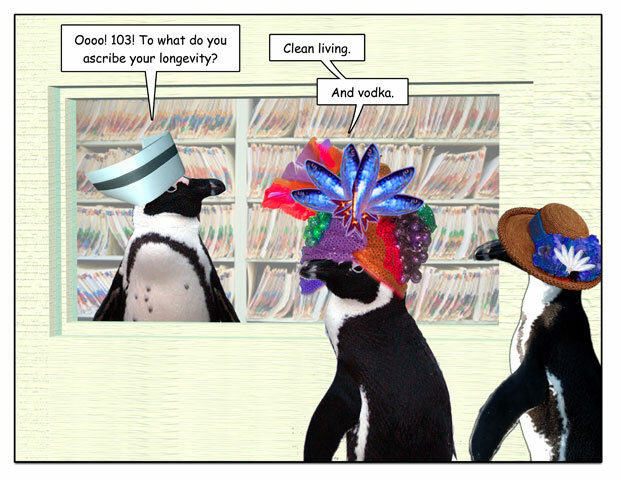 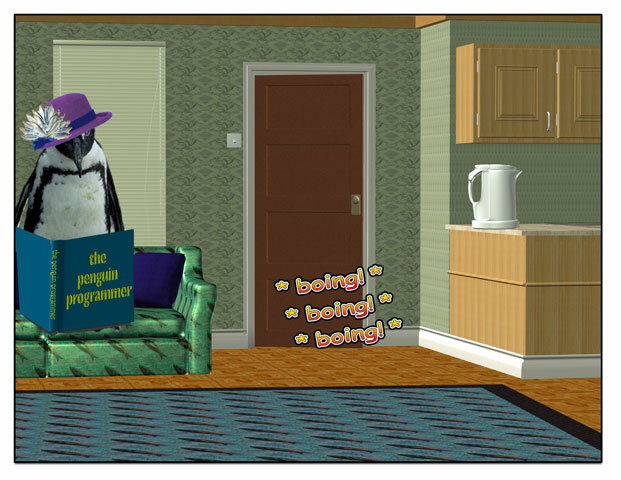 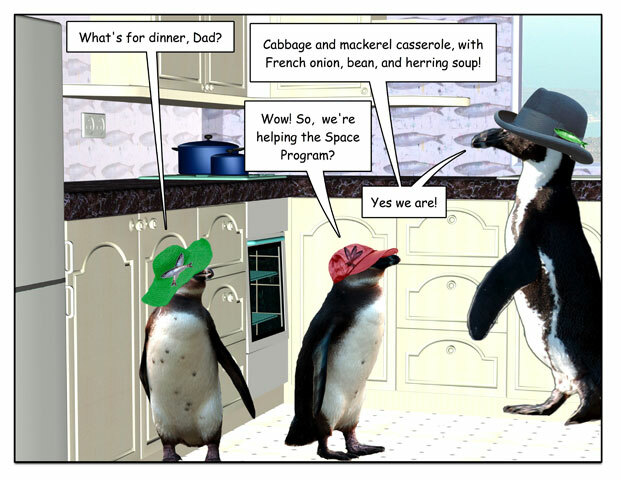 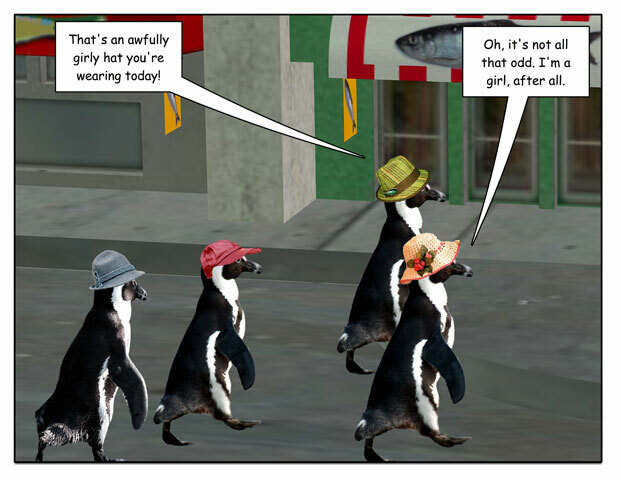 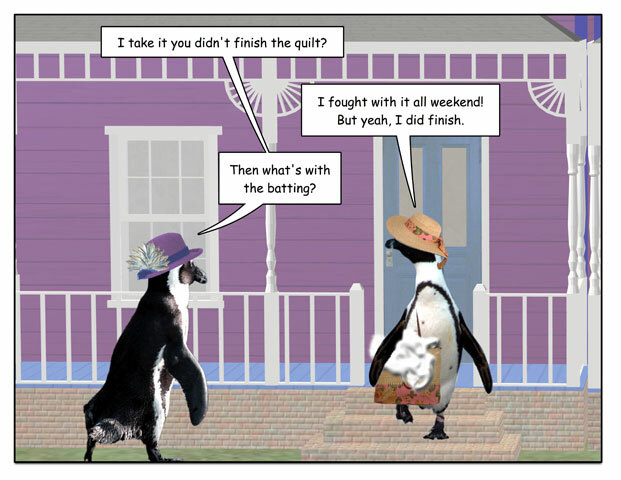 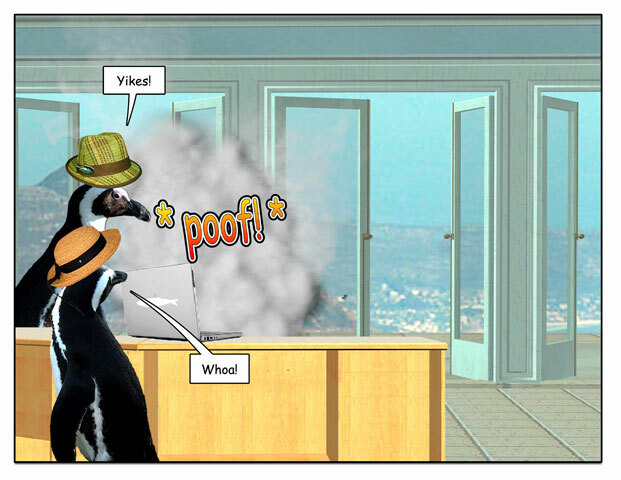 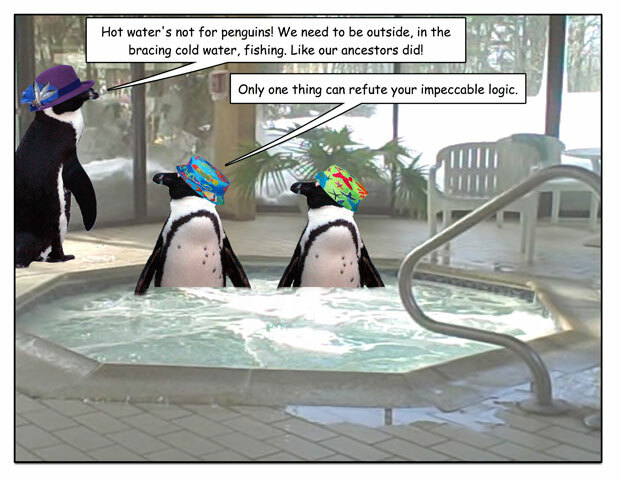 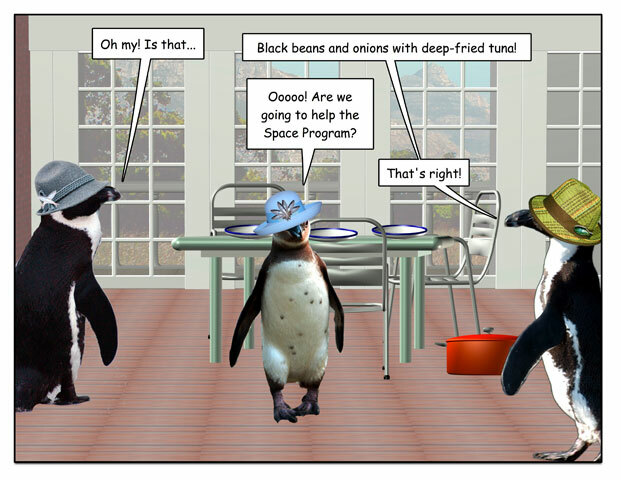 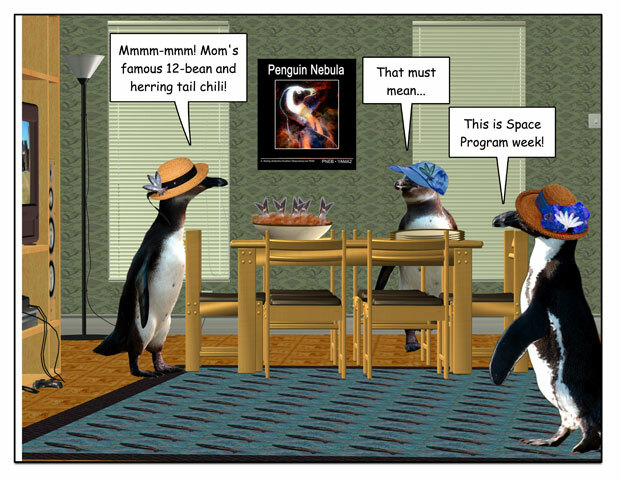 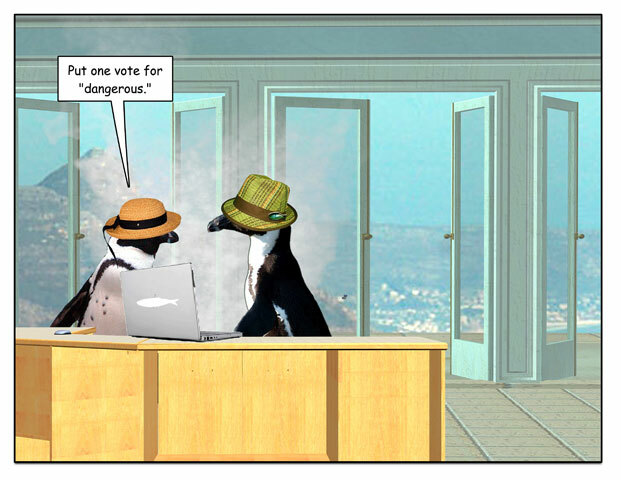 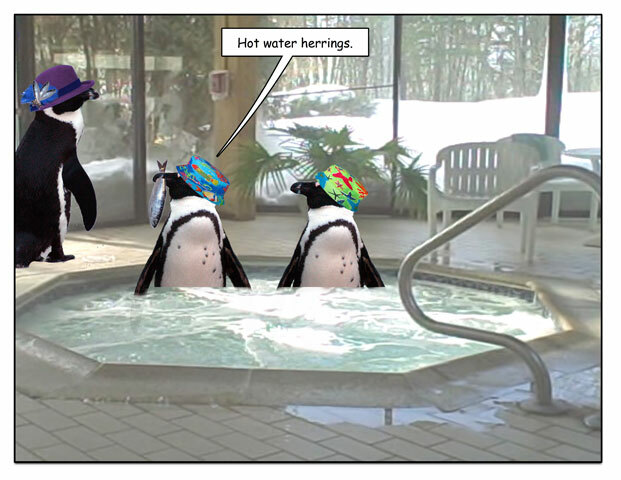 This week’s penguin: Sometimes you can tell from the hat, though. 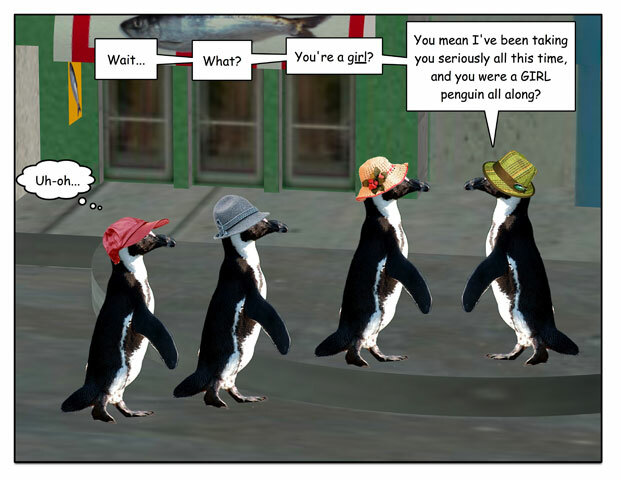 Actual penguin fact: you can’t tell the gender of a penguin (for sure) by looking. 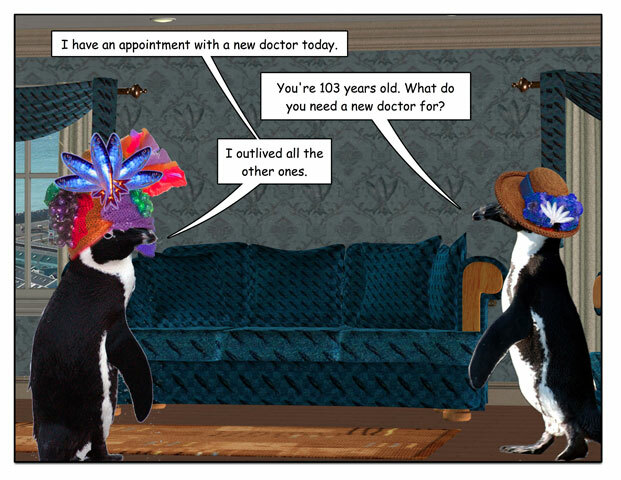 You have to do a DNA test. 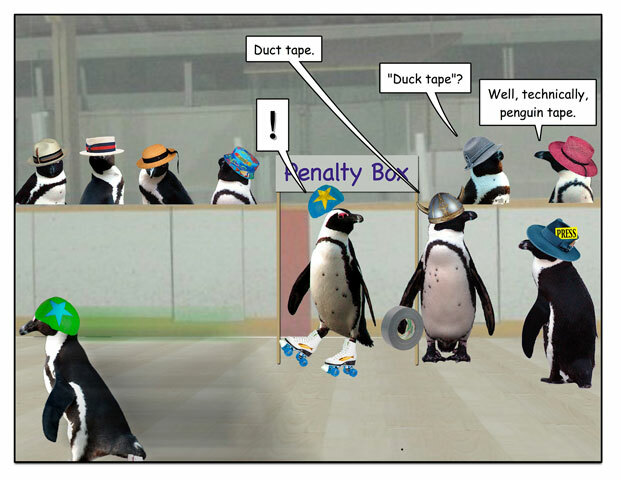 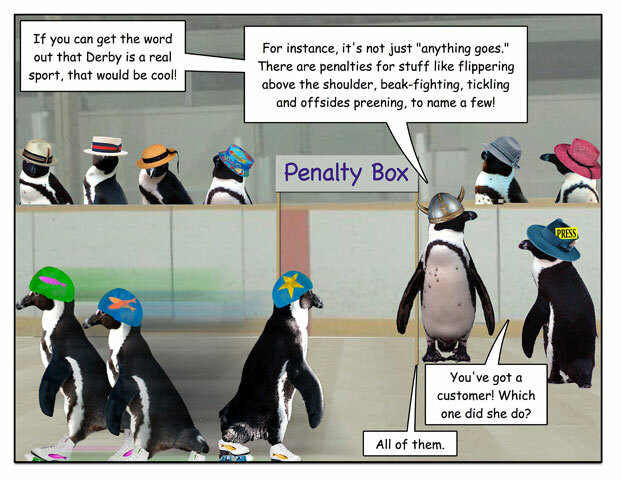 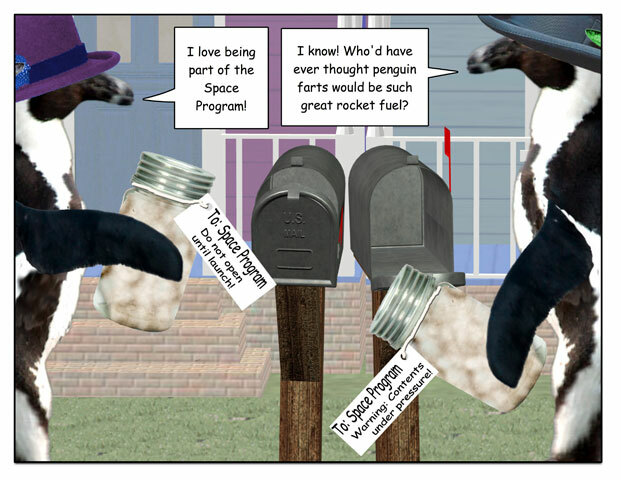 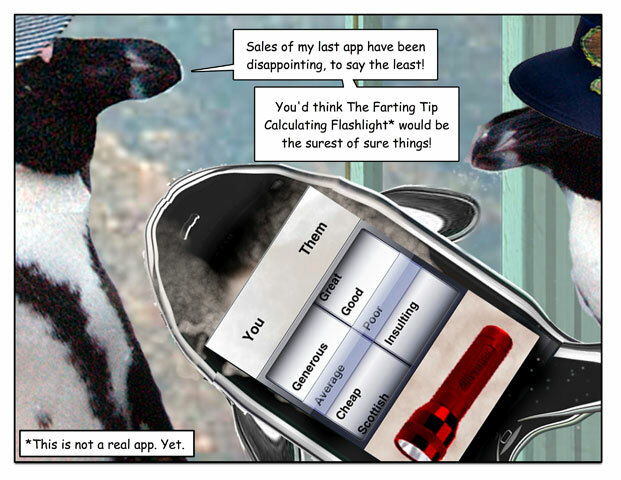 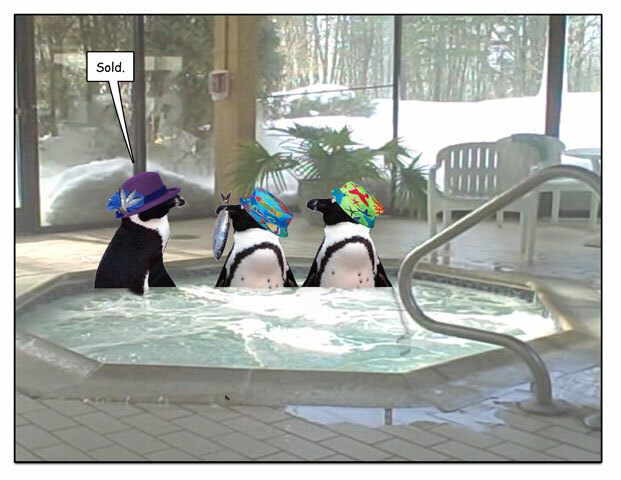 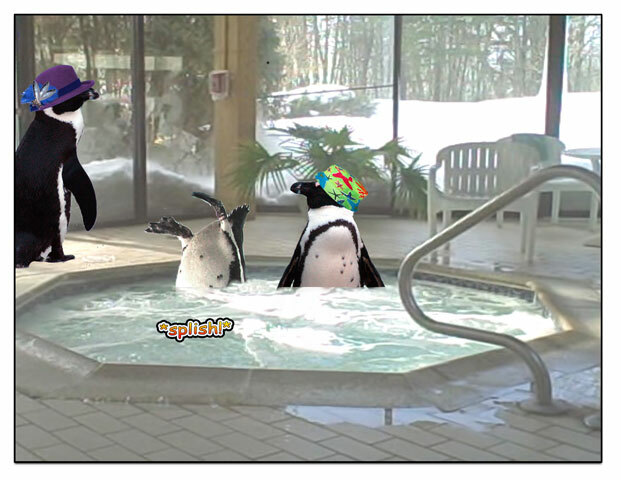 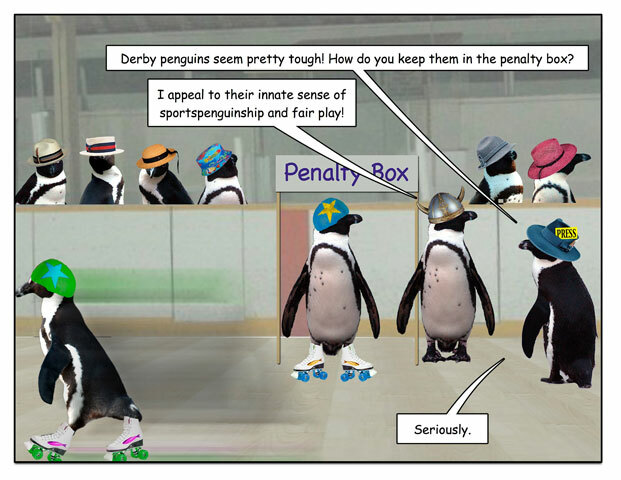 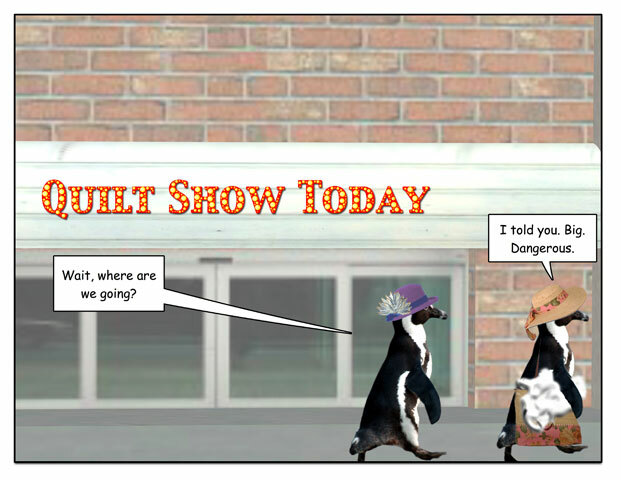 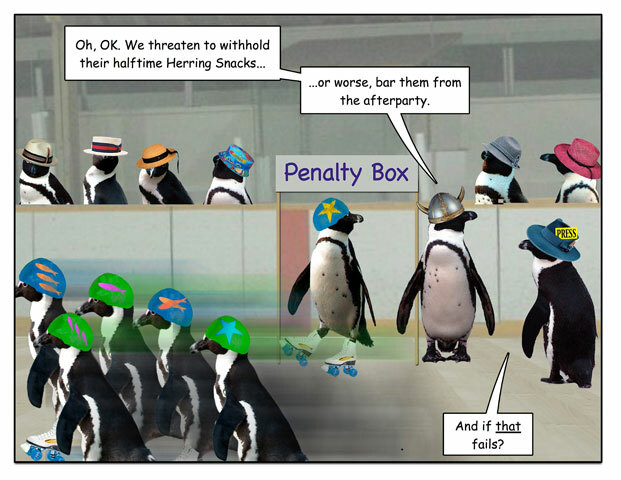 This week’s penguin: How to control your elite penguin athletes.